When a content junkie takes a 601-day break from blogging, one goes about the hunting and killing of dozens of books. Actual ones with covers, meant for reading when you're sitting in the carpool lane at school or when you're in the upright and locked position awaiting takeoff. You hope for something memorable and meaningful, but mostly you just hope for a good diversion to turn pages and see what happens next. Nicolle Wallace delivers on the latter. Wallace was the White House Communications Director under George Bush #43, and her experiences on the grounds ("the acres") shape the world the she's created. In the first book Eighteen Acres, it's a world with women as President, Chief of Staff, and Secretary of State - in a Republican Administration no less. So while that premise seems unbelievable enough, the Washington environment they live in is very much on the mark. The political atmosphere is full of power brokers and spin, and the media is just as relentless as the DC heat in an oppressive summer with the faulty White House AC. You can follow the action from the Oval Office to the West Wing to the East Wing to the Situation Room, to the OEOB (Old Executive Office Building), to The Residence...all while running into anxious worker bees and stale M&Ms. Each story focuses on 3 women, and the administration of President Charlotte Kramer. 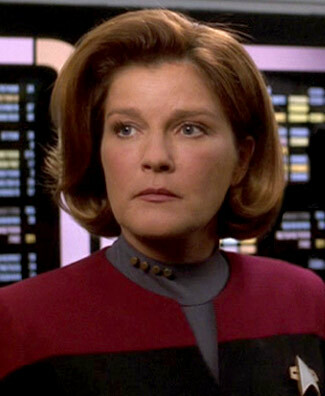 In my mind's eye, I see Captain Kathryn Janeway from Star Trek Voyager. Anyway, she's all business which eventually leads to The First Husband's affair with TV Reporter Dale Smith. He's able to keep it quiet and since it's not a breach of security, the Secret Service doesn't get in his way. But when Smith's helicopter is shot down covering a presidential visit in Afghanistan, everything comes to the surface and dissolves the President's marriage. The military fiasco eventually leads to the Secretary of Defense's suicide. With hope all but lost for re-election, Kramer reaches across the aisle for Democrat running-mate Tara Myers, the popular Attorney General from New York. What Myers lacks in social graces, she makes up in her connection with the electorate. The hotshot VP saves the election, but she is woefully ill-prepared for the position she's ascended too. That's where It's Classified begins and Wallace really gets some momentum going. And that's where the buzz for this book comes from. Wallace's experiences with a combustible VP candidate from the McCain-Palin campaign were one of the biggest plot points in the HBO film Game Change, which is sure to be hoarding Emmy awards. In the aftermath of the film, campaign strategist Steve Schmidt and Wallace (now both contributors for MSNBC) topped the enemies' list of the die-hard "Palinistas." There's also reason to believe that the Amazon.com review ratings on the book tanked when Palin's flying monkey army got involved. That said, It's Classified isn't that great anyway. When VP Myers secretly battles undiagnosed and untreated depression and OCD throughout the book, she gains noticeable weight, and calls in sick constantly. Her uneven behavior is not lost on the national media. When the staff tries to rehabilitate her image with a series of network morning show interviews, she screws it up and the plan implodes. A few days later when the White House elevates the terror threat level, it is ripped apart as a political stunt to divert from the negative press the VP has caused. Independent Counsel is brought in to investigate. The VP resigns and the President is impeached. But the President and her husband get back together and everyone lives happily ever after, of course. The Myers character only channels Palin in her craziness. While the author paints her as transcendentally popular, that never really comes across. She also has some level of expertise on legal issues, and generally is a sympathetic figure. On the whole, the storylines of the two books are pretty good. You get a very plausible inside look of how the sausage is made in the executive branch and how the pressure gets all cooked up in a crisis. And you really feel what the endless days are like for the President and The Senior Staff. The characters are average. Nobody jumps off the page. Too much time is spent with players inquiring about interpersonal relationships in their circle like The Newsroom or House M.D., only with worse dialogue - if that's even possible. I'll chalk up the forced humanity to Wallace's own tenure in the White House, where I'm sure real emotional connections were scarce.